I probably have the best commute there is. I get to ride my bike to my office, over cobble stone roads and passing views of sailboats and kayakers in downtown Annapolis. Rarely do I run into crazy drivers or commuters. But there was this one day that was different. 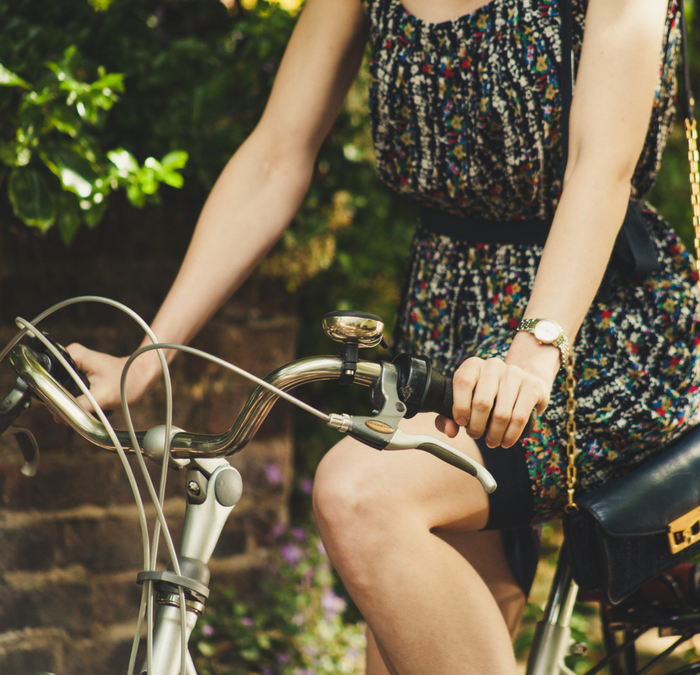 As I was on my bike, waiting for the light to turn red so I could cross, I saw an oncoming car going too fast for her approaching red light – she had no intention of stopping. It all happened in slow motion. I saw her texting and not paying attention. Meanwhile, I saw a car come behind me and speed up to catch his green light. I instantly created a mathematical equation of distance vs speed and realized the man was going to get T-boned by the texting driver. Instinctively, I screamed, “Hold up!” and luckily he slammed on his breaks. He finally saw the woman run her red light, and he appeared shaken, yet relieved after realizing the disaster he avoided. He looked at me with thankful eyes and mouthed the words, “Oh my God, thank you!” and then he sped off, carrying about his day. As I biked on, I realized I totally saved that man’s life, and maybe even the other driver who was texting. Now… rewind to just 12 hours before. The night before, I was having a stressful day. I was so upset about something, and that led me to escape my stress by going on a late evening boat ride with my husband. We didn’t dock until 1 am, which is extremely late for me. I felt a lot better, but the late evening made me sleep in past my usual wake-up time. So all of those events the day prior – my stress and the late evening boat ride – put me on that street corner, at exactly the right time, in order to save that guy’s life. That’s when it really hit me: there is something so much bigger out there controlling our fate. Yet we work so damn hard thinking we are all alone, running our lives with no help. Had I not had a crappy day prior, I would have awoken at my usual time, and missed that car accident. I like to think that those drivers had angels, and they created a weird event in my life in order to save theirs. Who knows. I won’t ever know, really. But I like to have faith. Every living thing on this planet is formed by energy, and our energy gives off vibrations. Our vibrations bounce back and forth onto one another, making us create events and circumstances that impact the world. But all you ever see is YOU, your story, and your own experience. Only our angels and God get the big picture. So this means that when you’re having a really bad day, trust that it’s all happening for a reason. Maybe it’s benefitting someone else, or maybe the bad event will teach you a lesson that will only benefit you a year from now. Sometimes you’ll get to see the WHY in it all – like when I was able to prevent a car accident – but you won’t always. Instead, the only ‘why’ you’ll ever ask is, “Why me?” Wåçhen we wonder why we are going through hell, it means we don’t trust that something good is going to happen from it. All we experience is the pain, and then bitterness and resentment follow. And I ask you the same thing this week. Trust your pain and struggle. It’s happening to serve you or someone else – you can’t control the world, so stop trying to. Surrender and trust.